The TrailTack sticky rubber outsole and high surface-area lugs provide outstanding uphill and downhill traction—including on wet surfaces. Keep your energy up, kilometre after kilometre in the Brooks Caldera trail shoes. For the outdoor adventurer, the Caldera is our responsive trail shoe that provides energy and a stable ride even as fatigue sets in. The sticky rubber outsole offers supreme uphill and downhill traction whilst the high surface area lugs that allow the shoe to flex. A protective double-layered mesh with strategic stretch and structure, gives maximum ventilation, drainage, and abrasion protection and the Integrated Gaiter Tab at the heel secures gaiters with hook and loop. 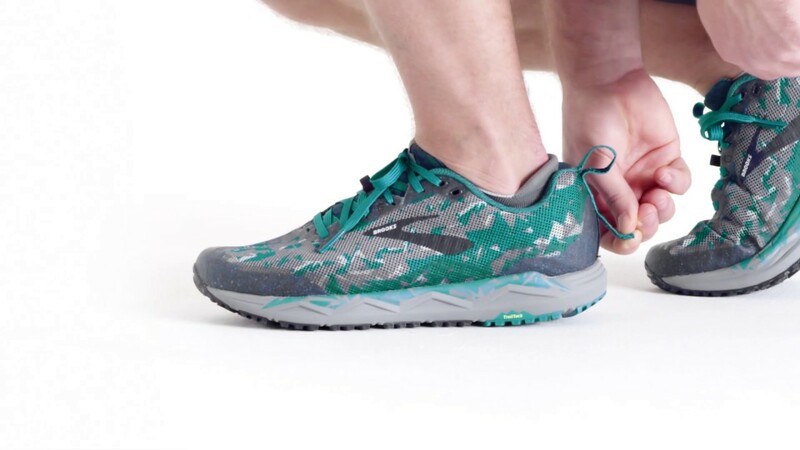 Discover the Brooks Caldera trail running shoes for men and Caldera trail running shoes for women today or browse our complete range of men's trail running shoes and women's trail running shoes.